This blog explains why people love video, and how recruitment agencies are leveraging success with a simple, cost-effective solution. 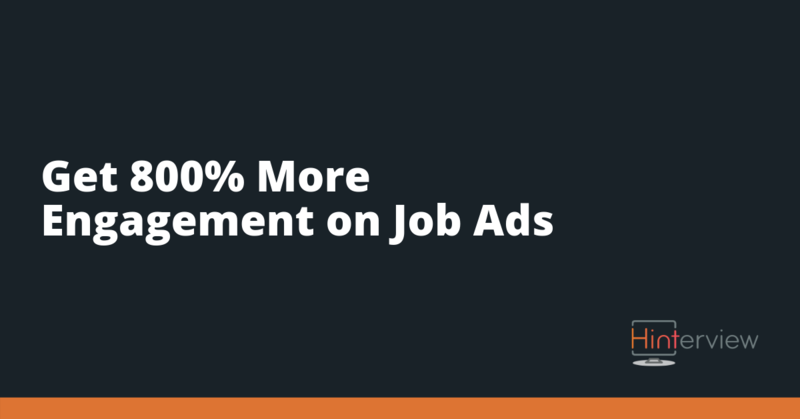 Ultimately, you'll learn exactly how you can get 800% more engagement on your job advertisements. There’s no denying we’ve gone video mad! Video influences nearly everything we do. Who would have thought virtual Doctors’ appointments would be a thing? Or students could complete a University degree without stepping foot on campus. So, the question is why the transition and why is it getting even more popular in 2019? The answer is us! We love watching videos. More than 500 million hours of video are watched on YouTube each day. We choose to Face-Time our families instead of calling them, and we love receiving instant daily updates from our friends on Instagram and Snapchat. The three most popular apps in 2018 were YouTube, Instagram and Snapchat. Coincidence they are all video apps? I think not! The millennial age group (25-34) especially love video. Research by the Pew Charitable Trust states that millennials make up the largest percentage of employees. So, the people creating the content we are exposed to every day are the highest video watchers. It's starting to make sense! Video has swept through industries like marketing, sales, and even healthcare. The recruitment industry hasn't been as eager to jump on the digital-train, but it looks like that's all about to change. It's clear that there is a massive shift occurring in the recruitment industry. Recruiters are beginning to understand the real power of video. A glance at your LinkedIn feed will show an increasing number of recruiters popping up in video form. Whether it's reaching out to candidates, marketing their agency or even creating their personal brand, it's all done through video. So, it's time to answer the big questions, how can you get 800% more engagement on your job ads. As a recruiter, I know you understand the pain of being ignored. I know at one point or another, you've spent hours upon hours sending hundreds of emails and LinkedIn messages, to get only a few responses. How would you feel if I told you one word could change this? By using the word ‘video' in your email subject line, you can increase your open rates by nearly 20%. This means two out of every ten people will open your email. And it doesn't stop there! Having a video in the contents of your email can increase the click-through rate by an incredible 65%. This increased engagement reduces your time spent prospecting candidates and increases the chances of a successful placement. How often do people in your LinkedIn community share the job add posts you write? "An exciting opportunity for an experienced Java Developer…." We've all heard it a thousand times. It's not unique, it's unlikely your LinkedIn connections will share it. Video content on social media gets 1,200% more shares than text or image content. Create a video job ad, and suddenly you've brought the job to life. You've expressed your personality, communicated the essential bits faster, and most importantly attracted attention. People buy people. How many times have you bought a piece of clothing, partly because the salesperson made you feel good? 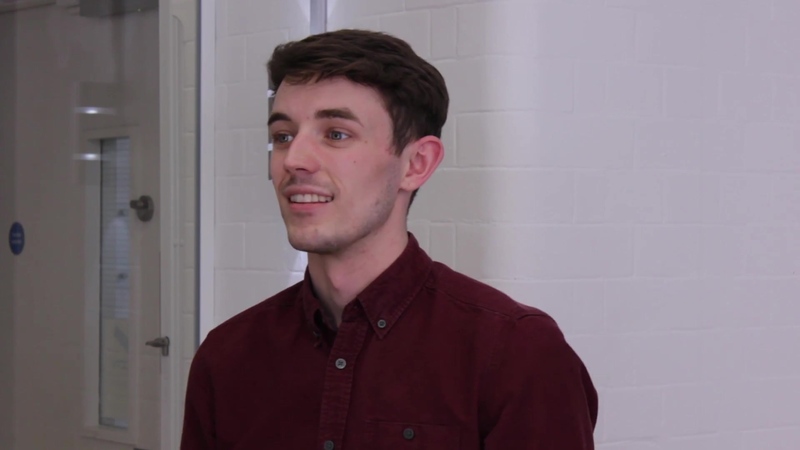 When creating a video job ad, you can use your personality as a ‘hook' to draw people in. You don't need to be the most articulate person or have a perfectly crafted video. You just need to be authentic and make sure you bring life and excitement to the role. In 2018, people spent an average of 2.6 times longer on pages that contained video, compared to pages without. So, you have your potential candidates' attention for over double the time, and you can communicate more of the job details, in less time. It's a win, win. A written call to action will never be as powerful as a spoken one. A call-to-action within a video will get 380% more clicks than a written call-to-action. When speaking you can infuse humour and light-heartedness into your message. When you try to do this with words there is more room for misunderstanding. Imagine a written call-to-action - “apply for this job, or else”. It’s safe to say, the recruiter won’t be inundated with applications. However, if you’re speaking and say the exact same thing, but with a smile on your face and a laugh, then you’ve just made a funny first impression! It honestly is this simple. By incorporating video into your strategy, you're giving your audience what they want. You're broadening your potential reach and increasing the quality of the information you're communicating. I challenge you to think about how often you change up your recruitment strategy. People like to feel comfortable, but if you get too cosy, you'll get stuck in your ways, and stunt your potential to grow. There’s never been an easier time to get out of your comfort zone, and video is the way to do it. In appreciation of International Woman's Day, let's listen to Eleanor Roosevelt – do something every day that scares you!